Encouraging Moms. Embracing Imperfect Faith & Family. Announcement Join the Encourage Community and Get Private Access to Our FREEBIES HUB of Biblical Resources. Printables, Scripture Cards, eCourses and more! 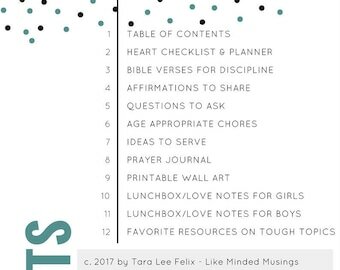 We love to create Christian Parenting Tips and Printables Packs, Bible Verse Art Prints, Wall Art Printables, Scripture Cards, Bible Studies, Quote Prints, and More. 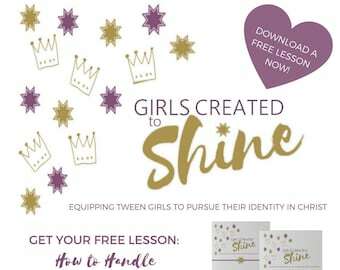 We specialize in unique encouraging Christian printables packs to encourage and equip you in your Faith, Family, and Homeschool. We're thrilled to provide you with excellent customer service and would love to answer any questions you may have so... feel free to drop us a note! To find out more about our shop Like Minded Musings on Etsy, view our About page. Join the Encourage Community and Get Private Access to Our FREEBIES HUB of Biblical Resources. Printables, Scripture Cards, eCourses and more! Bible verse book print sets. Our simple yet unique Bible Verse Book Prints! Our Scripture Cards. Available in print (limited quantity) or by instant download. Reclaimed Bible Verse Art Prints and Printables, Scripture Cards, Vintage Dictionary Quote Prints, Ephemera and More. We specialize in unique gifts for the person who has everything. Our gifts are not only creative and personalized but they also lift up and encourage the weary soul. We find joy in helping you give the perfect gift for any holiday, life event or special occasion! In our shop EVERYDAY buy 3 prints and get your 4th FREE! Just purchase your 3 and convo me your 4th choice which we will include for FREE. New in 2017 we will have resources to encourage and equip you in your daily walk with the Lord! We're thrilled to provide you with excellent customer service and would love to answer any questions you may have so... feel free to send us a convo! Welcome! We're here to provide Christian gifts and Bible Studies to Equip and Encourage the Weary Soul. We adore family time and combining life, homeschool, play and work together. You can find out more www.LikeMindedMusings.com. Join us! Welcome, Weary Mama! Join our Encourage Community and Get Private Access to Our FREEBIES HUB of Biblical Resources. Printables, Scripture Cards, eCourses and more! We strive to ship most items within 2 business days of receipt of cleared payment. Manna Jars may take up to 4 business days to create and ship. To save on the environment and our shipping costs, we often use recycled packaging. Please double check your address in the etsy and paypal systems to make sure it is correct. We do not ship on weekends or USPS holidays. CANADA shipping MAY be less than listed, please email us for an exact quote if you prefer. We DO ship to PO Boxes and APO/FPO. International Buyers: You are responsible for any customs or import fees. These charges are not covered in your shipping cost, and we are not able to list any purchases as gifts or change the value. Thank you for understanding. FIRST CLASS MAIL INTERNATIONAL cost does not come with tracking information. Insurance is provided on all International packages at no additional cost.